Figuring out how to organize my life was a challenge for me. I’m not that type of person who has it all together. I’m a type A mom who lives life day by day. I remember dates and appointments off the top of my head with mental to do lists and scattered ideas roaming through my mind. Year by year, with more responsibilities, including family member schedules to keep track of, this mental game led me to forgotten appointments, over-commitment, disappointment, and stress. Lack of organization = stress. Those of you that can relate know what I mean. With everything floating around in my head, I couldn’t fathom how I would get everything done. Worse yet, My husband would remind me of appointments on the day of while I had already made plans for something else. In slowing down my life I had to analyze what was and wasn’t working. What was creating the most stress in my life. For me, it was the day to day. Learning how to organize my daily routine in order to be a more effective mother and wife. Organizing my daily routine with a home management binder. I was never taught organizational skills. Sure I use a calendar planner, but organizing my daily responsibilities was something I had only heard of from those super organized mommy blogs. As soon as I started to make a list of my daily responsibilities and threw in homeschool to the mix, I knew it was time to head back to those blogs and find out just what this whole “home management binder” thing was all about. What is a home management binder? A home management binder is a binder with different tabs to separate different categories specific to what you need organized in your life. The Nest Effect has a great picture tutorial of her binder. In my search I found a lot of information which can be a bit overwhelming so I took bits and pieces of what would work for me. A simple, yet organized approach. I’ll never be SUPER organized but so far this is working wonders for me and the worry and stress of what I need to do is gone. I can visually see what I need to do for the day, check things off my list and can honestly say no to things if I don’t have the time. I’m no longer over-commiting and at the end of the day feel great and even have time for new hobbies like crochet. I’d like to share with you what is in my binder, printables I use, and a few that I’ve created that you can download for free. There are still a couple of printables that I need to create to round out my binder, but so far this has been a life saver. I still need to create a calendar printable so I’m currently using a Calendar planner to write a monthly visual of what my month looks like. I created this printable to help me keep track of my menu plan for the week and allows me to not overspend at the grocery store or farmers market. As a real foodie, I also included a section of overnight/morning prep which reminds me to soak my beans, put out meat, or what I need to bake during the day. I created this printable to help me on stay on track with my house cleaning duties. When I see one thing down for each day of the week, it visually makes it seem doable. I get to check one thing off at a time which means I don’t procrastinate leaving everything for a stress induced Saturday. I’m currently going through a wonderful online morning bible study put together by GoodMorningGirls.Org. It’s an inductive bible study where we are currently going through the book of Ephesians verse by verse where we observe and apply the scripture to our lives. It’s a wonderful time of prayer and devotion with many facebook groups to keep you accountable. The study includes printables for Monday through Friday and this is where I keep track of my papers. Visually seeing this category in my binder is a great reminder to get up in the word. To keep track of my homeschool lessons for the week, I use a free planner from Money Saving Mom. With my boys in kindergarten and preschool, I use the 1-week planner. This really keeps me on track, allows me to see what we’ve accomplished or make changes throughout the week. To keep track of monthly posts, themes and blog ideas I use this blog planner from Between U and Me that I found on pinterest. It’s so cute!! To keep track of my seed starting, I use the seed starting plan I created above. I’ll also be including more garden printables soon as the 2012 gardening season is upon us. You can download the pdf file for free by clicking here. Stop to think about how you can be more effective and have less stress through organization. Write a list. What’s working, what’s not. Visually seeing this will help you understand what areas in your life you can be more organized in. Take the time to use charts and planners according to your life, not theirs. This is your life, don’t let the internet overwhelm you with ALL of it’s information. If one chart makes a difference, go for it! Start small and see what works for you. You don’t have to be super mom to be a bit more organized and feel less stress. If your life seems too chaotic and too busy, get rid of things. By seeing your life in an organized fashion, you’ll have a good idea on what needs to go. The more you let go, the slower and more enjoyable life will be. Commit. Once you start on an organizational plan, try to commit to using it. However, if things get sidewind, don’t worry about it. Start again the next day. Do you have a home management binder? Do you have printables or links for them that you’d like to share? Please do in the comments below. Have a great week and here’s to a stress free, simple life! Those are awesome – and lots of work. It’s very generous of you to share – thanks so much! I’m a little planning resistant, but when I do plan everything is so much better. Pinning them now. Thank you! Thank you SO much for this where it is located all in one place. I feel like you in a lot of ways. I really want to be organized but I didnt know where to start. I have wanted to do a binder for a while, but i have a procrastinating perfectionist attitude and i think, if i cant do it right, i dont want to do it at all! I am a new reader and i really appreciate your blog. Love the printables!!! The meal planner… with the night before list… awesome. I was working on my garden plans this weekend, the printable will come in very handy! I’m also working on simplifying, etc. I’m a work in progress. It feels so good to free myself of stuff I don’t need and think of ways to stay free of it in the future. This is great. I am already a list maker, but I tend to write them down on recycled junk mail envelopes… and then I lose my lists. It would be much better to have them written down all in one place. these are all great printables. love the categories and the blog planner. my problem is opening up the binder and using it! i am still tweaking my organizational skills. i especially am thankful for the goodmorninggirls site. i plan to join along to keep me consistent. That is the very thing I am working on right now. I am trying to get it done little by little everyday. We are so much alike in how we “plan” things day by day. LOL! It is m goal to be more organize with a homemaker binder by the end of this month. Prayerfully that will happen!! Thanks for sharing your resources!! The blog planner link actually goes to the Homeschool planner. Could you please email me the pdf for the blog planner? Thanks! How do you design and make your own printables? I love what you made and would like to make some of my own. Hi Amy. I’m a graphic designer by profession and utilize the Adobe Creative Suite. May God bless you in your homeschooling journey. I am a grandmother who homeschooled her own children from infants through high school graduation. 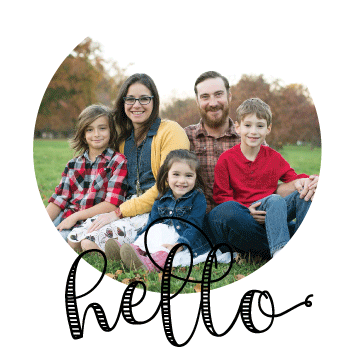 I am now helping my daughter begin her first year of homeschooling her boys (writing her curriculum using Charlotte Mason principles and living books) and needed some printables…so thank you! This is awesome! I have recently been diagnosed with a sudeo tumor and let go from my job. So now I am a stay at home mom of a 3yr old little boy and I am starting my own business. Needless to say I feel like I just can’t keep up with everything. It’s overwhelming at times. I never thought of a home management binder. I am really excited to start my own now. Thank you! Here’s a partial list of crops I’ve considered growing here. If and when you get bored, you can research them. Or send me message on FB and I’ll share what I have found out on the crop you want to know about. I am soooo glad I found your website and I subscribed immediately. Can’t wait to use the printables for all the above mentioned and plan to check out the GoodMorningGirls website. I have been studying on my own but this sounds much more fun and motivating! Thank you so much !!! I also love to craft and sew, do you? Sincerely, Karin from Connecticut God Bless!! !